Blair MacPherson by virtue of his upbringing understands the value of commitment to hard work. Born on the east coast of Canada, he grew up with a deep appreciation for these qualities as they were constantly reinforced and embraced by the people who lived there. As a result, the traits of honesty, loyalty, and integrity are woven deeply into Blair’s DNA; and they have served his clients well over his 25-plus year career in real estate. In 2002, Blair transitioned to Providenciales and brought his passions with him to harmonize with the innate allure of the Turks and Caicos Islands. Ever since his arrival, he has honed his craft and educated himself about the intrinsic elements of the Turks and Caicos Islands real estate market. His dedication has resulted in more than $150 million in real estate sales. His proven skills and drive for excellence have provided substantial advantages to those seeking to invest in Turks and Caicos Islands. On one of his first projects in Providenciales, Blair turned around a stalled 52-unit condo project at the Yacht Club. With only one 10-unit building complete, Blair joined the team and bolstered struggling sales, generated momentum, and brought the project to completion. Today, the Yacht Club operates as one of the finest marina condo projects in all of the Turks and Caicos Islands. Recognizing his success, the developer of the Nikki Beach Resort and Marina in Leeward approached and hired Blair for a new, visionary project. Without a defined pre-construction concept, Blair, as the director of sales and marketing, worked hand in hand with the developer to design and develop Phase One of today’s Blue Haven Marina and Resort. This 35-unit condo/hotel provides full service as a world-class marina and all-inclusive resort destination in the Turks and Caicos Islands. With a growing passion for resort development coursing through his veins, Blair next single-handedly sourced out 10 acres of prime beach front property on Grace Bay Beach. To this blank canvas, he designed a comprehensive business/development plan along with a well thought out master site plan featuring 10 luxury villas on Grace Bay Beach. This development is now successfully under construction as Beach Enclave Grace Bay. With extensive development success under his belt, Blair partnered with a long-time friend to purchase the REMAX real estate brokerage firm for the Turks and Caicos Islands. 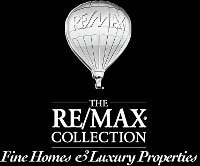 For the past five years, Blair has surrounded himself with an amazing team of professionals and built the REMAX Real Estate Group into a high-end, luxury brokerage firm serving the Turks and Caicos Islands. With his incredible vision and deep understanding of the luxury real estate market in the Turks and Caicos Islands, Blair is now creating East Point Estates, the Turks and Caicos Islands’ next luxury villa enclave. Once again, Blair secured choice property for the development – 3.7 acres in the highly coveted and gated community of Leeward. Through his vision, attention to detail, and his extraordinary sense of market demand, Blair’s design and development of these five waterfront villas at East Point Estates will culminate into a new showcase of refinement and luxury. Be honest, be kind, have courage; and everything else will look after itself. Blair takes very seriously his partnership with clients considering investments in the Turks and Caicos Islands. Recognizing the challenges of investing in a foreign Country, he takes great pride in becoming a trusted resource to all his clients. Blair’s most sincere satisfaction is earning that trust and becoming friends with his clients. Accordingly, Blair always says he hopes his legacy will be defined and remembered by the number of friends he makes along the way. Top Agent Magazine featured Blair on the cover of their July edition.